Are you in need of a tile cleaning professional? Have you forgotten the original color of your grout? 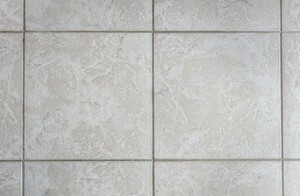 Give Complete Clean Water Extraction a call for a tile cleaning so spectacular, you'll wonder why you waited so long. When you're looking for a grout cleaning professional, whether it's for shower grout cleaning, cleaning the tile in your bathroom, or cleaning the tile and grout on your floors, Complete Clean Water Extraction has become a local leader for quality service at an affordable price. Cleaning your tile and grout professionally doesn't have to cost a fortune. As a matter of fact, when you call Complete Clean Water Extraction and get put on a maintenance program, the cost decreases even more. When you regularly (every six to nine months) clean your tile and grout, you'll be able to maintain your home at a higher level of clean and deter those nasty grout stains. Give us a call at (210) 239-0486 for a fast, fair quote for tile and grout cleaning in your home or place of business today! Why Call Complete Clean Water Extraction For Tile and Grout Cleaning? Complete Clean Water Extraction has been in the damage restoration business for over 16 years. We help restore homes and buildings that have sustained water damage from leaks or floods. When you call Complete Clean Water Extraction for tile and grout cleaning, you'll receive a crew with the same level of expertise and powerful tools to clean your tiles and grout. Our truck mounted units and high pressure turbo wands are powerful enough to clean your tiles to a shine, and our experienced crews are careful to protect your grout. We have turbo fans for quick drying and can even color seal your tile and grout! You'll be amazed at how sparkling clean your tile floors can be when you call Complete Clean Water Extraction. We clean a wide variety of hard surface flooring, including ceramic tiles, travertine, and natural stone. Give the tile cleaning experts a call today at (210) 239-0486.